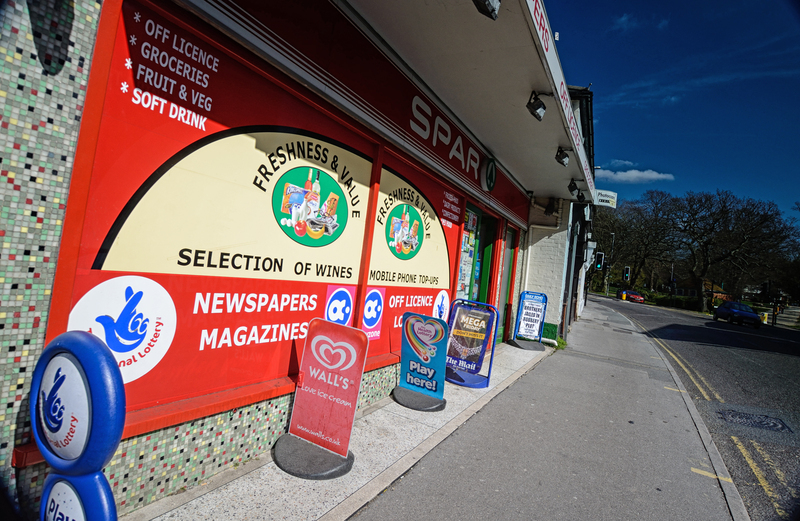 Spar Lower Parkstone | Photos by Lindsey Harris. Spar, Lower Parkstone, Poole, Dorset. Newspapers, off licence, groceries, fruit & veg, soft drinks, frozen food, pet food, confectionery, dairy products, mobile phone top-ups, lottery tickets.